For her many writings, she received several awards during her career including the Enedino Jiménez Indigenous Literature Prize in 2005 for her book U k’á jsajil u ts u ‘noj k’áax (in English: Memories of the Heart of the Mountain). 2005 the short story series Chen konel (In English – It’s too much). 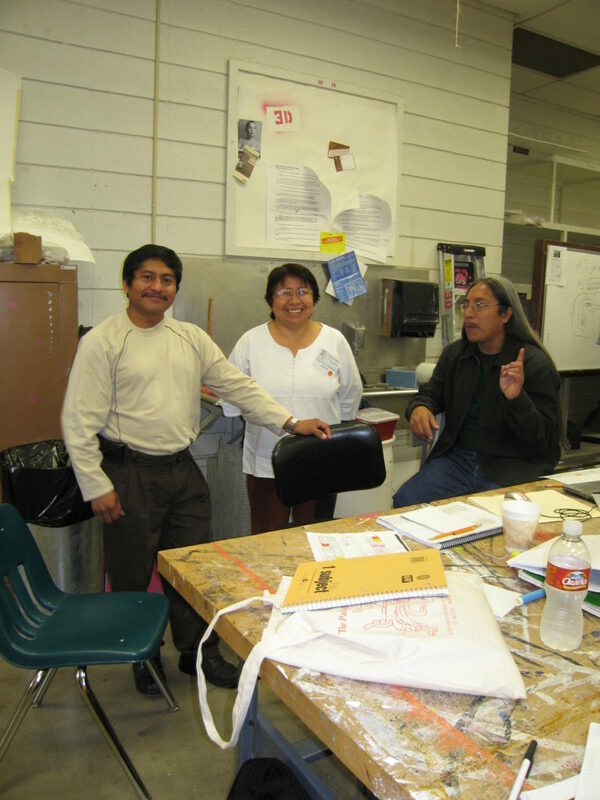 It won first place in the Alfredo Barrera Vásquez contest for Maya Language Narrative. 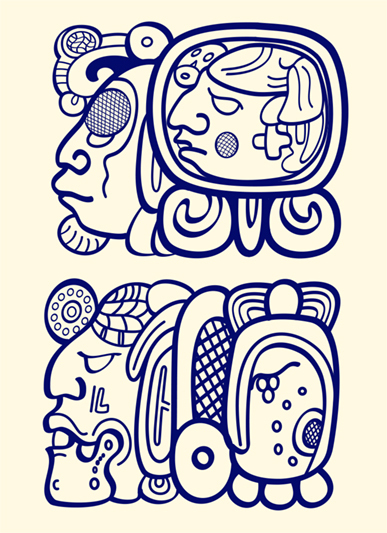 2005, 2007, 2008 Diccionario maya de bolsillo (in English – The Maya Pocket Dictionary). She was also a teacher and a mentor. 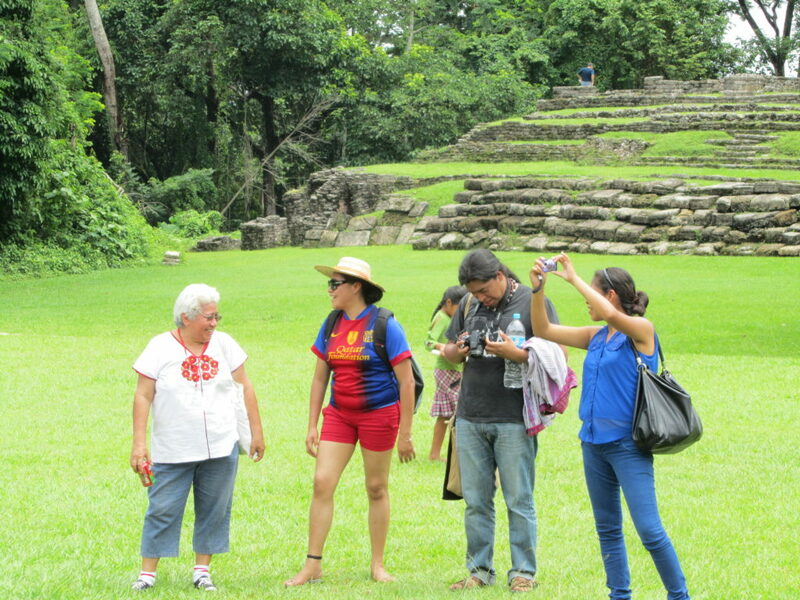 She taught ethnohistory at the Autonomous University of Yucatan (UADY); in 2009, she taught at the Universidad de Oriente in Valladolid, Yucatán (in coordination with the University of Salamanca) the Maya-Yucatecan introductory course (Maaya T’aan). She also taught Mayan language courses in the United States among transnational immigrants from Yucatan in the San Francisco Bay Area. The year she died, she was recognized with a “Hechas en Yucatán 2018” award. Some of her titles and leadership roles were Director of the Popolnaj Máximo Huchin (Asociación Civil) in Yucatán; Researcher at the Centro de Apoyo a la Investigación Histórica de Yucatán and the Instituto para el Desarrollo de la Cultura Maya del Estado de Yucatán and Coordinator for the Academia de la Lengua Maya del Ayuntamiento de Mérida. 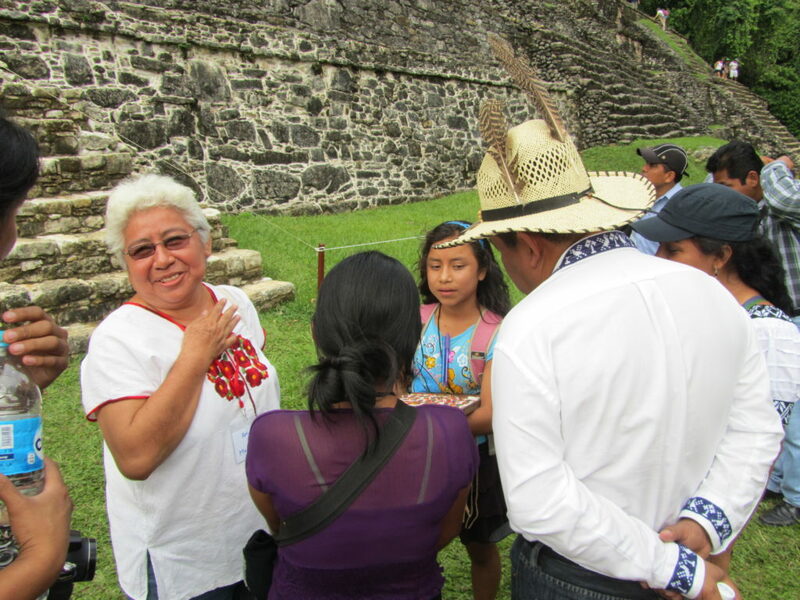 In 1999 to 2000 she collaborated on the project Plano Topográfico de Cisteil, Yaxcabá, Yucatán, a program to recover the oral tradition of the Yucatec Maya people. She will be missed by friends and loved ones alike. 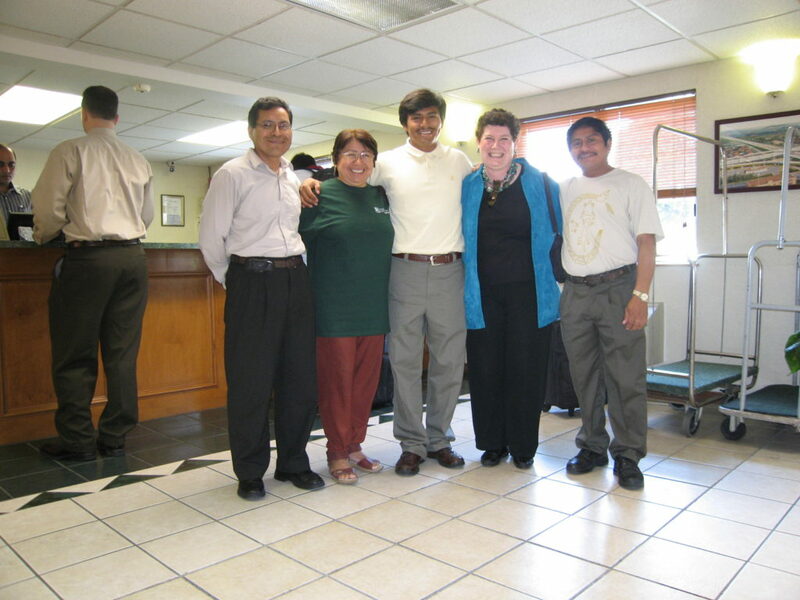 Regarding her shining personality and her writing and story collection, Dr. Love wrote “Pati was bright, colorful, humorous, happily giving voice to her colleagues, and deeply celebrating the culture and language of native Yucatan.” Below we have posted several pictures of her gathered from MAM’s archives. 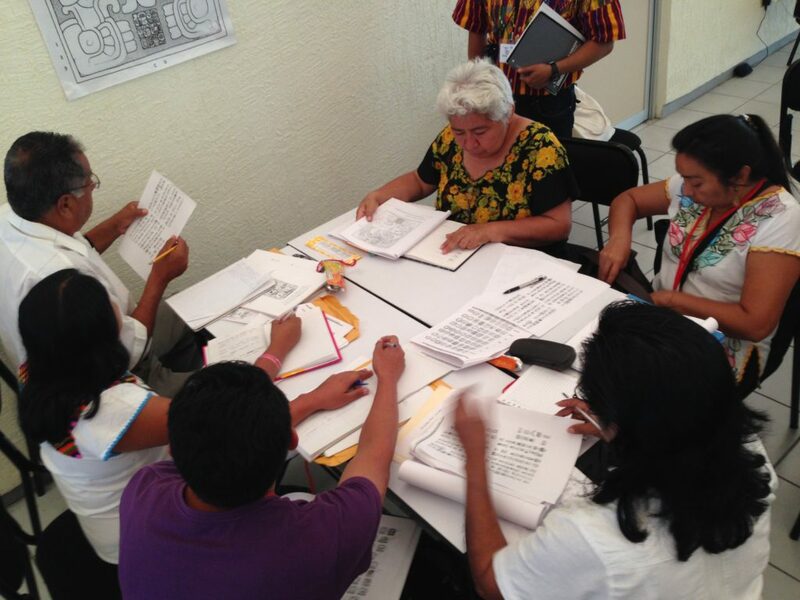 Pati with other participants at the Ocosingo Congreso in 2014 working on reading a Maya text. 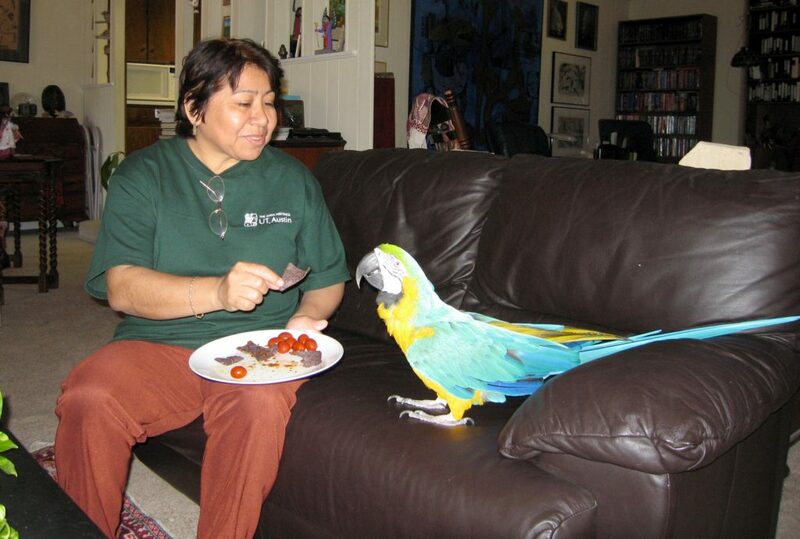 Pati feeding the Schele’s pet blue and gold macaw. They hit it off famously. 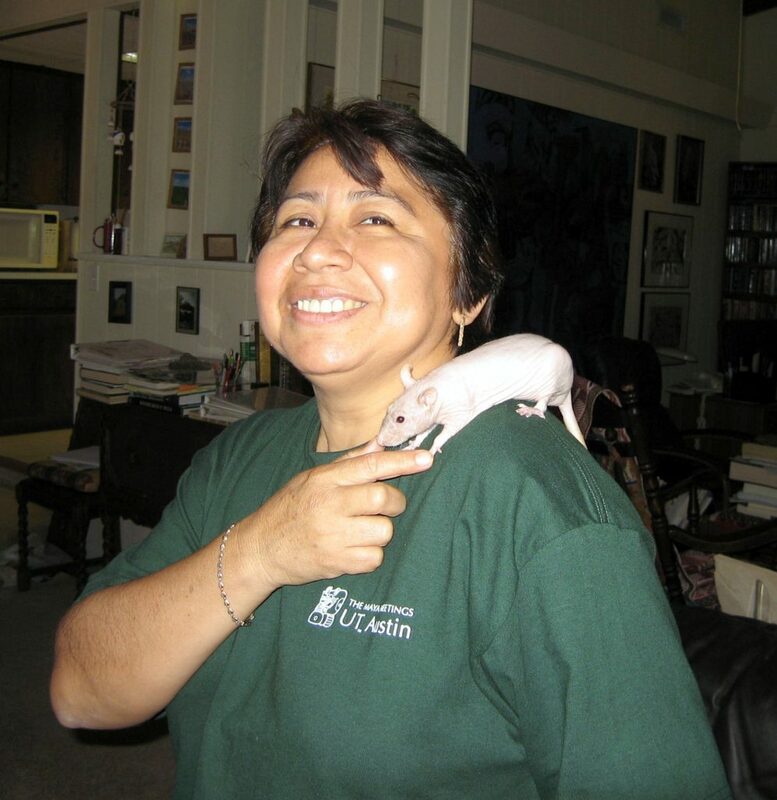 Pati, always the animal lover, at the Schele house with their bald pet rat. 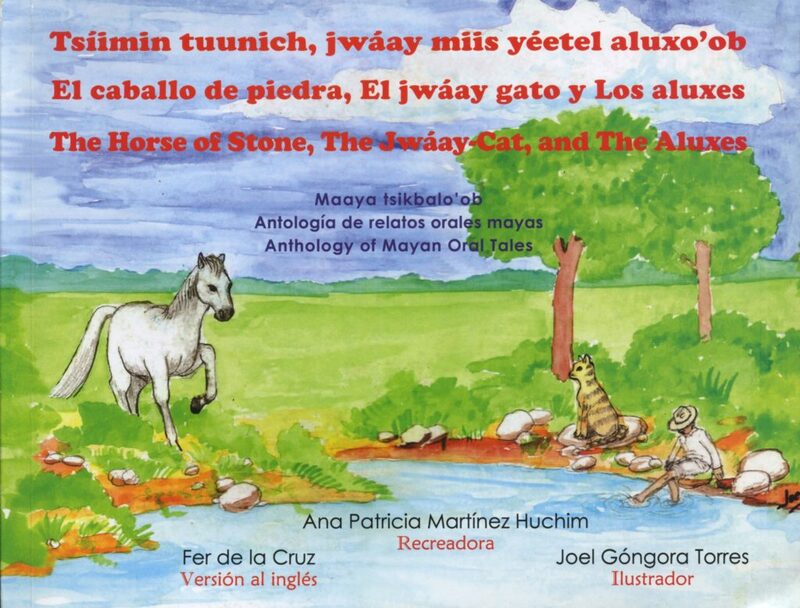 The cover of one of Pati’s publications called (in English) The Horse of Stone, The Jwáay Cat and the Aluxes.